Protect your firearms by keeping them in a secure, fireproof safe. We have a variety of sizes and features to choose from. Safes are also great for protecting jewelry, cash and other valuable household items. Make sure to keep your guns secure and locked up in a safe. 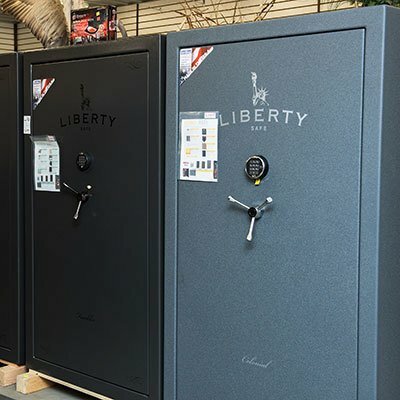 Whether its handguns or rifles there is a need to protect them from theft, fire, or just keep them safe out of the hands of children , we carry a variety of safes from small to large and will accommodate guns of any type and size. Safes are also great to protect jewelry, cash and other valuable items.